Welcome to the Cambridge Nanomaterials Technology Ltd! The Cambridge Nanomaterials Technology (CNT) Ltd is a nanomaterials innovation, management and technology consulting company based in Cambridge, England. It was founded in 2009 by Dr Bojan Boskovic, CEO, who has more than 15 years of experince working in industry and academia with carbon nanomaterials. The CNT Ltd helps companies, universities and government institutions to develop nanomaterials related technology, products, R&D strategy and partnership, IP and market strategies, training and funding. 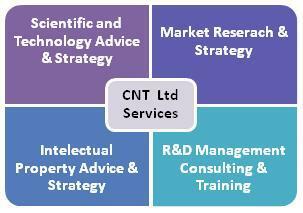 The CNT Ltd is specialised in carbon nanomaterials R&D consulting and collaborative R&D project management, such as EU FP7 and H2020 project consortium building, proposal preparation and project and exploitation management. The CNT Ltd could create custom designed project teams of experts from its network of consultants from industry and academia and help in building a supply chain for development of products enhanced by nanomaterials. We can provide a constant phone and email access to an expert advice and an expert as a part-time member in your team. The 1st NCEM consortium (NCEM-1) launch was in April 2012 in Cambridge, UK. In five meetings of the NCEM-1 consortium from April 2012 to April 2013 25 organisations from 10 countries have participated by providing delegates and speakers (see logos below).